(NaturalNews) If your best friend told you that drinking diet soda is healthier than drinking water, would you believe them? What about if a doctor said it? According to a new study published in the International Journal of Obesity, low-energy sweetener consumption can help you reduce your energy intake and even lose weight. If this sounds like nonsense, that's because it's exactly that. Although it seems inconceivable, this Coca-Cola funded study is actually telling people who are possibly engaged in excruciating weight battles, that they should buy and drink more diet soda. Needless to say, this is nothing more than science twisted into a marketing campaign. The study was published in November by a professor of biological psychology at Bristol University, Dr. Peter Rogers. Admittedly, it was partly funded by the International Life Sciences Institute-Europe (ILSI), which sounds impartial enough. Unfortunately, the ILSI could not be further from scientific impartiality. The board of directors at ILSI includes doctors from Nestle, Mars, Pepsi and Coca-Cola, while three of the five board officials represent corporations. Dr. Peter Rogers himself, who was the lead scientist in the study, is the co-chair of ILSI's Eating Behaviour and Energy Balance Task Force. And it gets worse. Each co-author of the study was individually paid around $850 for their contribution. The study's industry funding was also covered up by the University. Their excuse? They ran out of space on the paper. It seems that in order to arrive at its conclusion, the study reviewed more than 5,500 papers. Almost none of these drew a comparison between water and diet soda, so the researchers focused on only three papers. Of these three, two did not favor water or diet soda in relation to weight loss. The third, which was published by the American Beverage Association, and criticized for an obvious conflict of interests, claimed that diet sodas helped people lose weight. Somehow, this barely scientific process led to the conclusion that "[o]verall, the balance of evidence indicates that use of LES in place of sugar, in children and adults, leads to reduced EI and BW, and possibly also when compared with water." It's only to be expected that the study is now in direct conflict with previous research showing a link between diet soda and weight gain. However, the University of Bristol feels confident about the paper it produced. According to them, the International Journal of Obesity is a peer-reviewed journal, which means that the paper they published was "scrutinized by other scientists." But it was "scientists" that made these nonsensical claims to begin with. Are we really to believe that the reviewers were less partial than the authors? Unfortunately, this is not the first (and probably won't be the last) time science has been twisted for marketing purposes. Only last year, the University of Colorado's School of Medicine was forced to return $1 million to Coca-Cola. 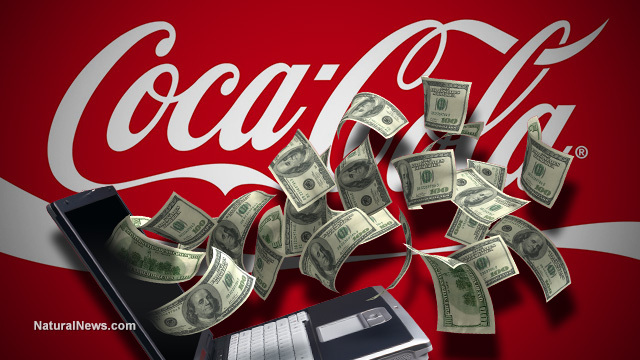 Although the money was supposedly donated to fund a group promoting diet and exercise over sugary drinks, email leaks clearly demonstrated that Coke's intentions were to use this group as a puppet against radical opposing organizations. Remember when Monsanto by the EPA? Unsurprisingly enough, it turns out it was a study funded by Monsanto that the EPA based its decision on. Since 2010, Coca-Cola has spent around $120 million on academic research and community groups dedicated to the fight against obesity. Can we now trust anything that results from these partnerships? And most importantly, will we ever know that one study or another was profit-driven rather than scientific?